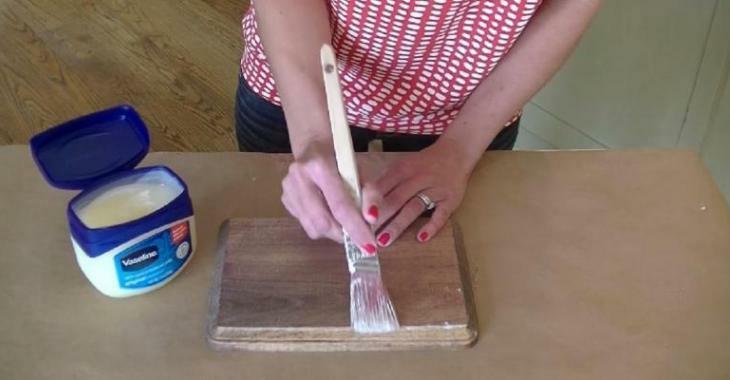 Crafts : By applying vaseline on wood, she realizes an incredible painting technique! By applying vaseline on wood, she realizes an incredible painting technique! A technique so simple that you will not be able to do without it! I've done the same technique for years, paint and then sanded the wood and then weathering wood. Have you always wanted to learn how to aging wood? You already know techniques? But did you know this method !? 5) All the places where you will have applied the petroleum jelly will take off in no time to let see the natural wood! Now you know how to weathering wood!